Can a trip to Hawaii for two cost under $2,000?! How much money an average trip to Hawaii costs is hard to say definitively because there are a lot of factors that can make your Hawaii vacation cheaper or more expensive. But spoiler: It can possibly cost under $2,000 if you really want it to! Yes, if your timing is right, and you really want to make it happen, you can go to Hawaii for under $2,000! Which means that a trip to Hawaii might end up costing you more than that. But, just HOW can you come as close as possible to the costs listed above on your own Hawaii vacation? Below will break down exactly how you can do just that! You know that Hawaii is seen as an expensive destination. And if we’re being real, Hawaii kind of is expensive compared to other US destinations, or other popular destinations for Americans. But, if you’ve got Hawaii on your mind, there are some things you can do so your trip to Hawaii won’t be as expensive as you might think it is! You might have to sacrifice a little here and there so the cost to go to Hawaii will be lower, but you can decide what sacrifices you want to make based on what you want out of your vacation. Even with small sacrifices, there’s a very good chance you will still LOVE your Hawaii vacation — it is Hawaii after all! 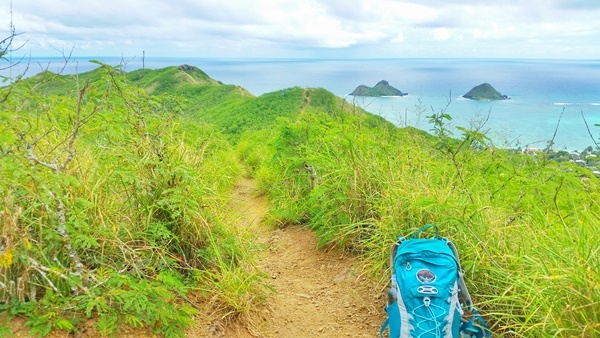 Just make sure you do some short hikes with the best views, snorkeling at the best spots, and a road trip around the island! And if you DO go snorkeling in Hawaii, make sure you don’t do anything you should NOT do on a first trip to Hawaii, including being sure to wear reef-safe sunscreen! And if you are willing to spend money on experiences, also look into yoga retreats and surf camps in Hawaii too. Hawaii is home to one of the best surfing destinations in the world. So here on this page will be an estimated budget that you can use as a start to planning your dream vacation to Hawaii! This will give you some ideas as a starting point when you have no clue where to start your planning process. How much of a budget traveler vs luxury traveler you want to be, or somewhere in between! But, to at least get you started to give you at least some idea, listed below is pretty much the absolute minimum it costs to go to Hawaii, and from here, the expenses will go up. Of course, there are always exceptions, but in general here are some price points to expect. When is the worst time to go to Hawaii? 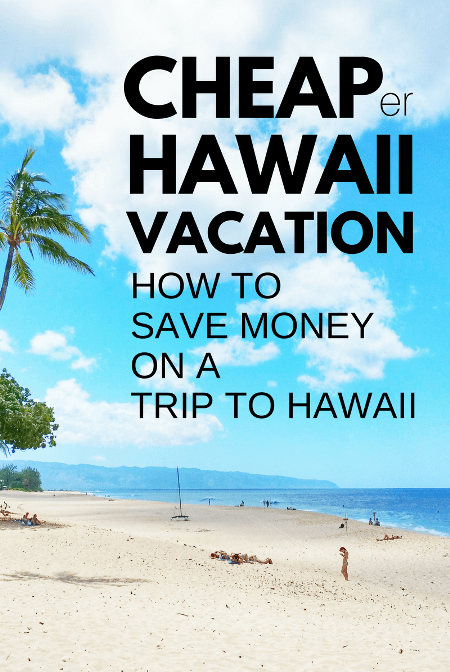 Below is exactly how you can keep your costs down and save money on your Hawaii vacation! Whether you are 2 people or a family of 4 going on a trip to Hawaii, these are travel budget tips that can be applied. How to figure out the best Hawaiian island for you! One of the hardest parts about planning a trip to Hawaii just might be choosing which Hawaiian island is best for you! Each island will provide you with a different experience. Here’s how to get a free Hawaii travel guide from the Hawaii state tourism department. These are really popular guidebooks for planning a trip to any of the Hawaiian islands! So, how much for a trip to Hawaii for two? Generally speaking, flying from the west coast will naturally get you the cheapest flights to Hawaii. And you might be able to find flights to Hawaii from San Jose at $400 per person. How far is Hawaii from California? The flight from California to Hawaii is about a 5-6 hour long direct flight. 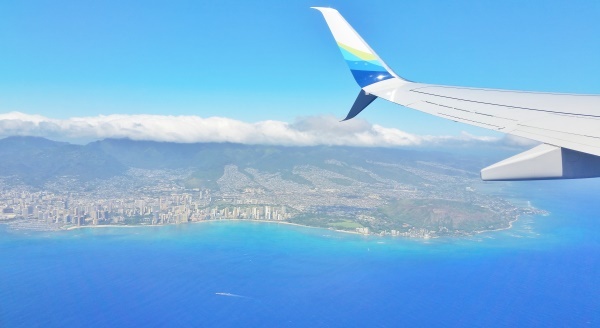 Alaska Airlines tends to offer some of the cheapest prices, and Hawaiian Airlines and American Airlines can be competitive too. In June 2017, United Airlines announced that it will be adding more flights to Hawaii from Chicago, Denver, Los Angeles, and San Francisco starting in December. And on top of that, Southwest Airlines announced in October 2017 that it will start flying to Hawaii for the very first time! This may also mean cheaper flights to Hawaii from California, since that’s where it seems Southwest may start their Hawaiian island flight services, according to one prediction. Plans for Southwest Airlines are to start selling tickets to Hawaii in 2018. This compares a bunch of airlines at once. This is perfect if you have flexible dates and want to get an idea of the cheapest time to fly to Hawaii with the assortment of tools available. Search for flights here. When you go to search for flights directly on the Hawaiian Airlines website, right near the search button, select the price calendar or price chart. This lets you see the cheapest prices to fly in the whole month. You can also check the price calendar to see the cheapest dates to fly to Hawaii, and then use the other flight search engines to check more airlines for those dates. If Hawaiian Airlines doesn’t fly from a city near you, try searching any west coast airport just to get an idea. Are layovers worth it on a flight to Hawaii? Also be sure to see whether the flight itinerary will require you to stop in another city. If a flight with a layover vs a direct flight has a price difference of $20, you may consider that extra cost to be worth it to have a direct flight to Hawaii to minimize travel time. Extra time at an airport for a layover could also mean extra money you spend in the way of airport food. You can bring your own food (carry-on friendly!) but if you don’t, airport food is typically expensive! What time do you want to arrive to Hawaii? You will also want to look at the time of arrival into Honolulu airport. You might not like the idea of arriving to an unfamiliar city at night. When you’re thinking about what to pack, try to pack light for Hawaii without any big containers of liquids so you can avoid any extra baggage fees. And pick these seats on your flight to Honolulu airport to have the best chance of aerial views of Oahu! If you’re ready to start really thinking about booking your flight, there are 2 newsletters you might want to know about to find the cheapest flights to Hawaii. It could be possible for you to find nightly rates that are closer to $60 if your timing is good! If you’re going solo to Hawaii, you may be able to find rentals for under $50 a night. This means your cost for accommodation becomes closer to $300. There are also hostels in Honolulu that are cheaper. 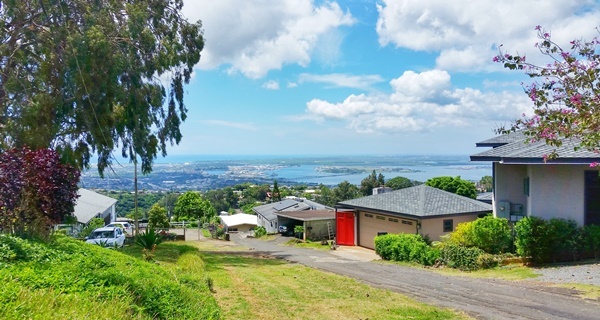 If you are taking a trip to Hawaii as a family of 4 or 5, it could be possible for you to find vacation homes in the $450 price range as well. But again, this will depend much on your timing and what you’re looking for. Have a look to see what’s available a few months out to get a little bit of an idea with the types of rental properties available and what the cheaper rentals are like. Vacation rentals in Hawaii tend to be a cheaper option than the popular Waikiki Beach hotels, making accommodation a great area to save money! Staying at a vacation rental also gives you the chance to save some money on food too. Find a rental in Hawaii that will give you kitchen access so you can cook food instead of eating out all the time. 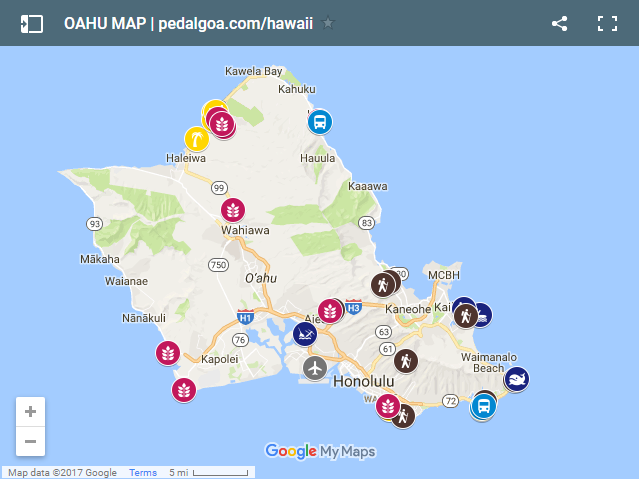 Before you leave for Hawaii, look for some grocery stores that are located close to where you’re staying so you know where to go. Foodland, Safeway, and Times Supermarket are considered to be more of the discount grocery stores. You can sign up for the loyalty cards when you’re at the cash register to save a few more dollars. While making your own food will likely come out to be cheaper than eating out, the prices for almost all groceries in Hawaii are probably higher than what you pay at home. To save money, make things like pasta. As an example, flavor it with tomato paste diluted with water, Italian seasoning, salt, and pepper. Your vacation rental host may have some of these seasonings available for use. You can buy jars of pasta sauce in Hawaii too, but tomato paste is usually cheaper. You may consider bringing dried pasta from home, and if you do so, make it elbow macaroni to get more food for less space in your suitcase. While not the healthiest of options, pasta-roni or rice-a-roni type of dishes can make for easy and cheap food in Hawaii. You can probably find it for $1 at your home grocery store on sale, so be on the lookout for it. Knorr has these in a pouch instead of a box so they will take up less space in your luggage. Make it at night ahead of time, wait for it to cool down, and then put the cooked food in a ziplock bag, then the fridge, so you can have it as a picnic lunch the next day! The pouch says it includes multiple servings, but when you’re quite active throughout the day, the whole thing makes for a good meal for a single person. Try this at home first to see if you like it. And when carrying it in your daypack, it’s also a good idea to put the food with an extra layer like with a plastic bag or a ziplock storage bag to protect against any spillage. But also spend a few extra dollars on fresh produce or frozen vegetables to make sure you’re not completely neglecting healthy eating. You want to make sure you have plenty of energy during your Hawaii vacation! Leonard’s kind of near Diamond Head and Matsumoto’s on the North Shore are popular tourist points of interest. And there is a Paina Cafe location near the popular attractions of Hanauma Bay for snorkeling and Koko Head for hiking. Dole Plantation you may consider fitting in on your way to the North Shore from Waikiki. Of course, cost of food also depends on your appetite! And the more active you are in Hawaii, the more you may want to eat! If it goes with your food, like pasta or rice, add canola oil to your food to give you more calories. This can help so you don’t get hungry as easily, so you’re not feeling like you’re depriving yourself or that you need to buy more food. Much of this cost of activities in Oahu are for bus tickets. 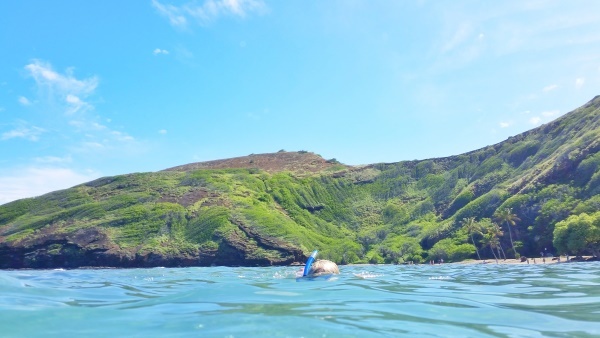 If you like hiking, snorkeling, or just lazing on the beach, there are plenty of budget activities with free and cheap things to do in Hawaii! Some activities do require more time in transit on the bus when you’re in Hawaii on a budget, but not renting a car when you are two people can often mean money saved. The bus costs $5 for a single day pass. Here’s more about taking the bus on Oahu. Oahu is really the most convenient Hawaiian island to take the bus to get around to different places of interest for tourists. In this aspect, it makes Oahu a budget-friendly island when it comes to a Hawaii vacation. You may consider renting a car for one day to do a drive around Oahu, but that’s not included in this sample Hawaii trip for two. Renting a car can be around $40-50, and your total cost will also depend on how much gas you use up. 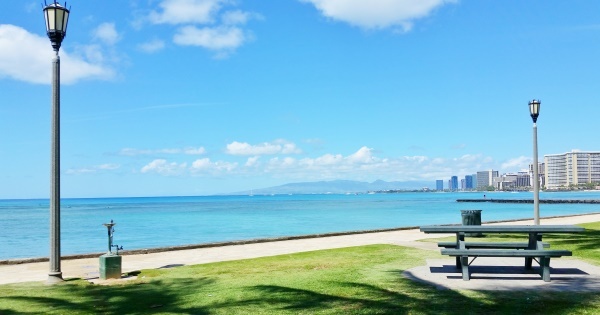 As a start, next are some sample days that can help you to stay on budget in Hawaii. The costs below include bus tickets and admission fees, if there are any. Since the bus will be $5 per person, consider that each trip will cost a minimum of $10 for two if you’re not staying within walking distance of any of your activities. This is also assuming that you’re staying somewhere within walking distance of Waikiki. Also, while there is snorkel rental on Oahu available, you may want to bring your own snorkeling gear. 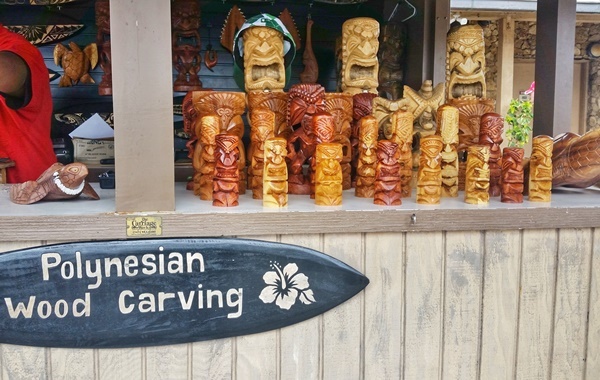 What other budget-friendly activities are there in Hawaii? There are a few different factors that determine how much your travel insurance will be. There are also different levels of coverage. This price point is under the best coverage (top plan) that includes emergency medical, travel delays, baggage delays, as well as the trip cancellation and trip interruption that comes with the most basic plans. This may seem like a lot to tack on to your cost of a trip to Hawaii, but you’re likely planning your Hawaii vacation months ahead of time. You just can’t predict what will happen during that time. And for during your vacation itself, the more active you are, the chance of something happening does increase a little. One expense that you will be sure to have that wasn’t listed in any of the categories above is getting to and from the Honolulu airport. As a budget traveler, it is possible to take the bus to get to your vacation rental. But if this is your plan, you need to travel with a backpack, as large suitcases are not allowed on the bus. Otherwise, it really depends on where you’re staying, but you can likely expect to pay $30-40 for a taxi from the Honolulu airport to Waikiki or somewhere around there. Although taking an uber from the airport used to be illegal, it may be an option now. And then you’ll need to pay the same to get back to the airport. This guide to a Hawaii travel budget isn’t meant to serve as a definitive guide at all. There are so many factors that can influence how much it will cost you to go to Hawaii. This ranges from what type of traveler you are to the timing of purchasing your flight and vacation rental. But, hopefully it gives you a start in terms of things to think about! Some of the estimates listed above may require you to try a little bit harder to stay within that price range. Some of the numbers in this Hawaii budget may initially seem unrealistic. Well, this mainly applies to food. But again, if you plan ahead of time and are committed to saving money on a trip to Hawaii, it is possible! Remember, this cost estimate also doesn’t include anything you’ll want to buy to bring to Hawaii. This can include things like snorkeling gear that you might want when you’re thinking about what to wear snorkeling and hiking gear that you might want when you’re thinking about what to wear hiking.